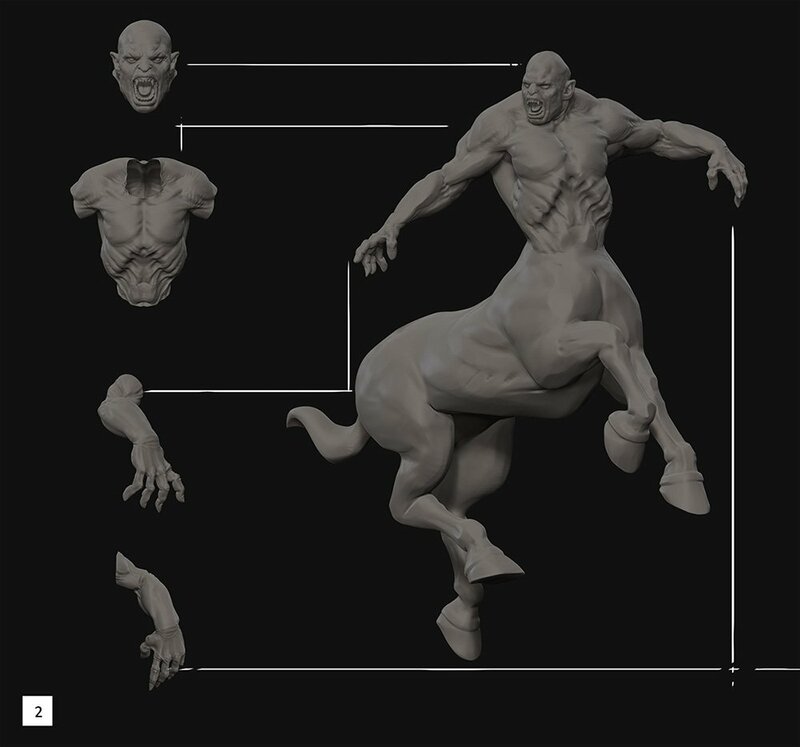 Here is a brief breakdown of Marcello Baldari’s Hunting Centaur created for the BadKing Monster Brush Challenge. 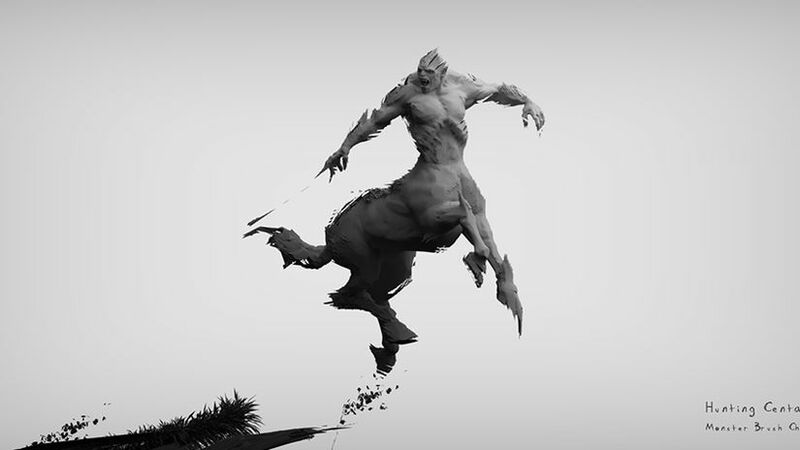 Marcello’s unique design utlises a PolySketch technique within ZBrush. Marcello is an Italian born Digital Artist who recently completed an Advanced Digital Artist Masters Course. 01) I started working on the general shape using zspheres then worked quickly to define the anatomy using some references. 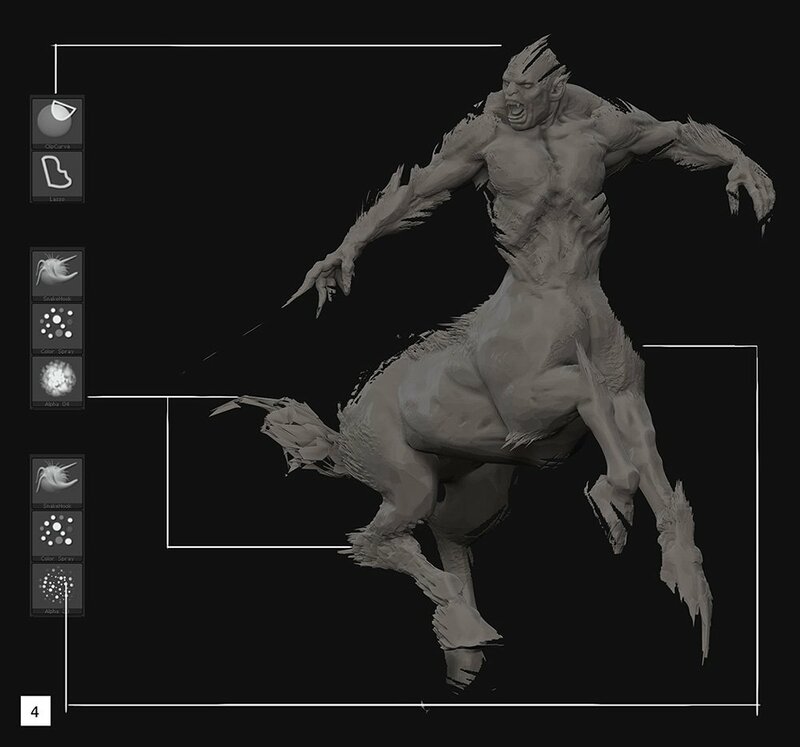 02) Using some body parts downloaded from the Free BadKing Mega Monster Pack, I created the design for my creature – a Hunting Centaur. 03) I sculpted several different types of rocks, chose the best then worked on them using the Polysketch technique. I often create effects such as leaves that flutter across the landscape using the FibreMesh tool within ZBrush. First Edit the Fibre to give it shape similar to leaves then click Accept. 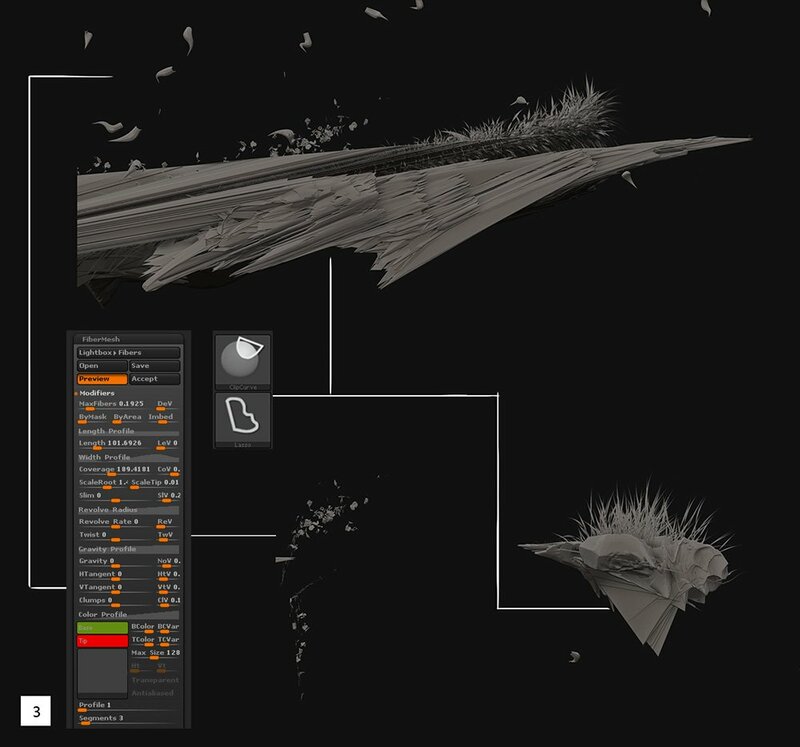 Select the Sub Tool ‘leaves’ and sculpt the mesh using the ClipCurve tool or SnakeHook brush. 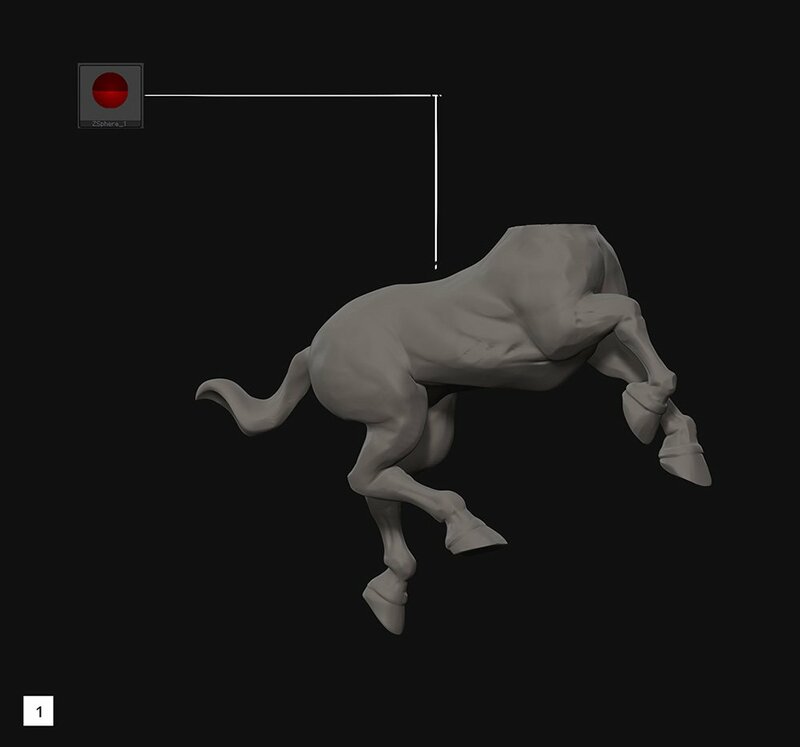 04) After creating my model, I started experimenting with the POLYSKETCH technique. The image should resemble a sketch so I used a combination of the ClipCurve tool and SnakeHook brush. I used the ClipCurve tool as if it were an eraser then pressed Ctrl+Shift to make a selection on the affected area.